Lucky me took some time off work last week. My family and I organised to meet in the beautiful coastal town of Woodgate and we all had the most wonderful time. 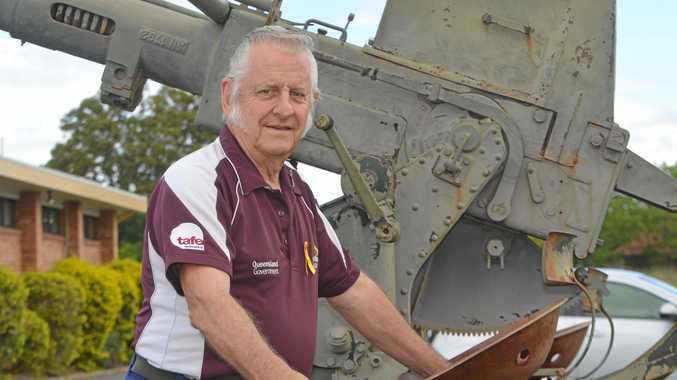 Woodgate, for those of you who don't know is about 20 minutes out of Bundaberg. Woodgate Beach itself offers an uninhabited 16km stretch of soft white sand lined with graceful she-oaks and is home to many, many kangaroos. So many in fact, they were content just idly grazing in the yards of the local residents without a care in the world, just like me on my holiday. Like all holidays though mine inevitably came to an end. On my 4 hour journey home I couldn't resist purchasing some fresh local strawberries from a roadside stall. They were so delightfully sweet and juicy that I spent the rest of the trip trying hard not to eat them all before I had the chance to create something strawberry-licious at home! Wanting to make the strawberries the hero of the dish, I needed a complementary flavour that would really let them shine and immediately goat's cheese came to mind. 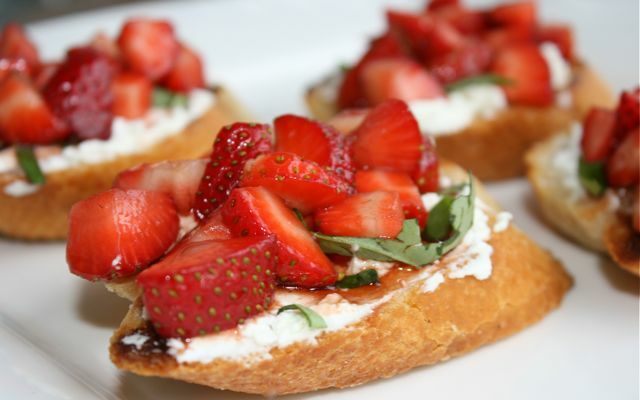 I'd read about strawberry bruschetta somewhere and knowing I had a delicious bottle of Pukara Estate Caramelised Balsamic Vinegar I knew I was onto something special… Let me introduce you to the sweet and elegant Balsamic Strawberry and Goats Cheese Bruschetta. Picture this… a sourdough or spelt baguette drenched in good quality extra virgin olive oil and then seared on the BBQ. Fresh, plump sweet strawberries diced and coated with a delectable glaze of caramelised balsamic vinegar. Slithers of sweet fresh basil and Goats Cheese. Heavenly sounding isn't? Well let me assure you it is indeed and it looks stunning too. 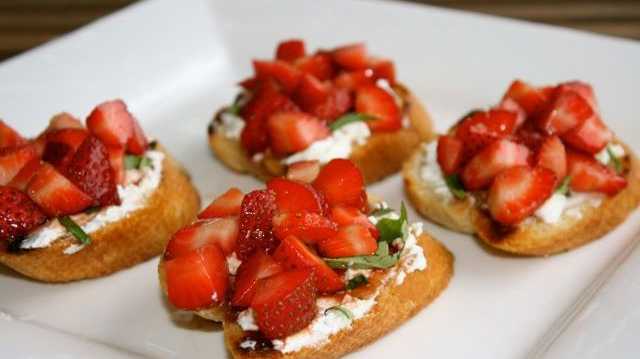 This pretty little appetizer would accompany an antipasto spread wonderfully. Or do as I did and serve simply as a tasty afternoon treat with a glass of Central Otago Pinot Noir. Combine diced strawberries and vinegar in a small bowl. Pour extra virgin olive oil onto a plate. Soak each baguette piece on both sides and sear on a BBQ or griddle. Spread lavish amounts of goats cheese onto each crostini and add a thin layer of basil. Top with balsamic strawberry mixture and a good sprinkle of sea salt flakes. Note: Only a very good quality caramelised balsamic vinegar will make this dish the taste sensation that it is.